You are travelling to Murano, congratulations! You will have an excellent time. 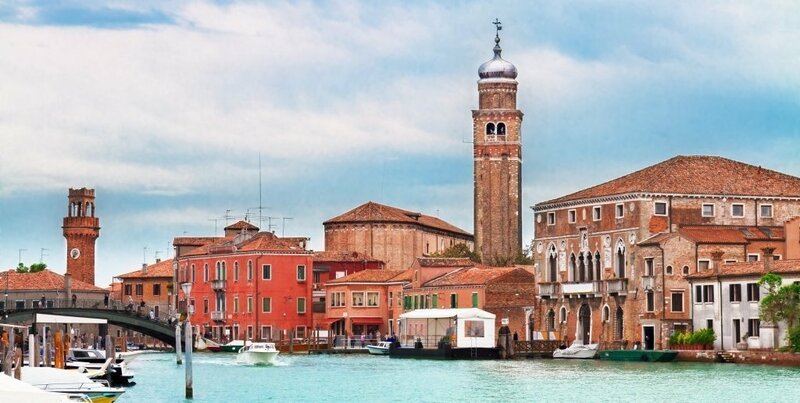 Let us help you get the best experience with our suggestions, Top 10 things, on what to do in Murano. Let’s go! Or, as the locals say, Andiamo! It is undeniable, Murano is the place to see handmade glass. Most artists don’t open their work spaces to the public. The secrets of glass making are coveted and kept private, but a few businesses are open for demonstrations. You will encounter many glass shops on Murano, but seeing how it is made will give you an extra appreciation for the beautiful and delicate art that is the livelihood of the island. 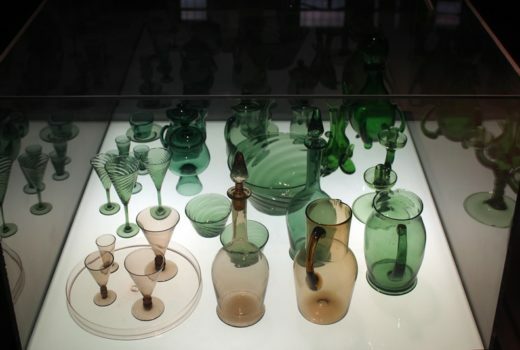 Since glass is the most treasured trade in Murano, it is natural that there is a Museum dedicated to it. The Murano Glass Museum is a top 10 thing to do in Murano as It is also one of the most renowned cultural museums in Venice. The 17th century palace became a museum in the late 19th century. Local artisans helped complete the collection with their own masterpieces. 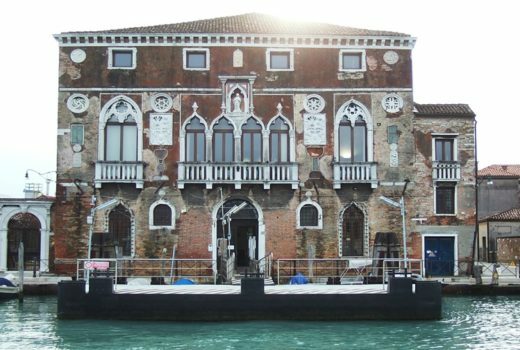 You can access it by taking the “Murano Museo” Vaporetto stop. It is open everyday from 10:00 to 18:00h. Museo del Vetro di Empoli - ex Magazzino del Sale (esterno), photography by Sailko. Originally built in the 7th century, and then rebuilt in in 1040 AD, this Basilica was first a tribute to the Virgin Mary. Later, it shared its name with Saint Donatus of Arezzo. 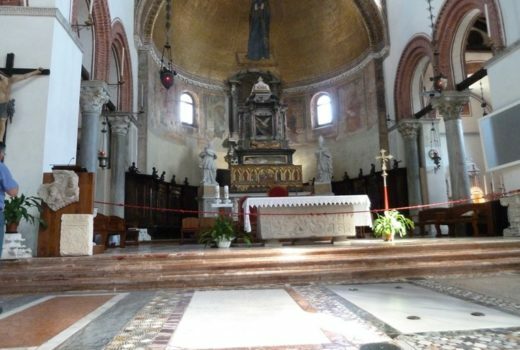 The legend says Saint Donatus slayed a dragon and brought its bones back to Murano to be kept in the church. The church attained fame from the dragon bones and also its beautiful 12th century Byzantine mosaics inside. The Basilica is located near the Murano Glass Museum, so you can easily access it from the “Murano Museo” Vaporetto stop. It is open to the public Monday to Friday: 9:00 – 12:00h / 15:30 – 19:00h, and on Saturdays from 15:30 – 19:00h. Holy Masses take place at 18:30h during the off-season, and at 9:30h, 11:30h and 18:30h during the peak-season. Santa Maria and San Donato - inside (Murano), photography by Abxbay. This church was originally built in 1348 in honor of Saint John the Baptist, but it was destroyed by a fire in 1474. 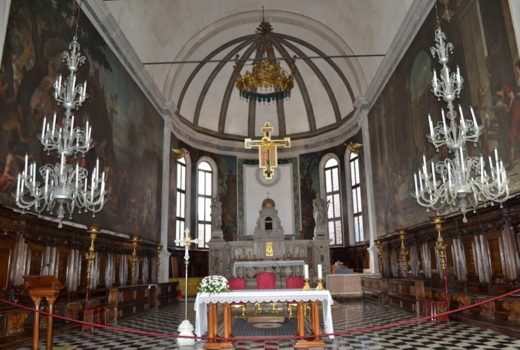 In 1511 it was rebuilt as it stands today and is now dedicated to Saint Peter the Martyr. It is home to many beautiful paintings by Bellini, Tintoretto, and Veronese to name a few. The entrance is surmounted by a unique, large rose window. The church is near the Murano Da Mula Vaporetto stop. It is open Monday to Friday 8:00 – 19:00h, Saturdays 11:00 – 19:00h, and on Sundays 12:00 – 17:00h. Holy Masses take place at 18:30h during the off-season, and at 8:00h and 12:30h during the peak-season. Chiesa di San Pietro Martire, photography by Lure. First built in the 11th century, it has been rebuilt multiple times during the 13th, 14th, 16th and 18th centuries. Now, only part of the church remains. 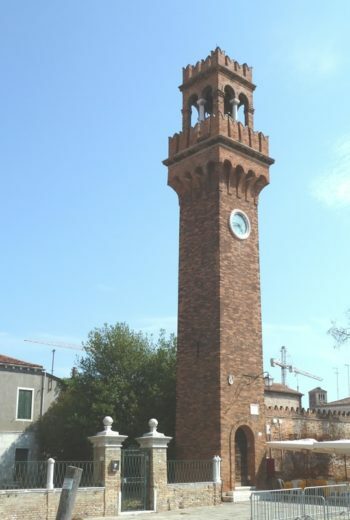 Even though a small section still stands, it is definitely a top 10 thing to see in Murano to see the Campanile with its blue clock and the magnificent glass art piece in front of it: the Cometa di Vetro. The Campo Santo Stefano church is located just across the river from the Chiesa di San Pietro Martire. Campanile Santo Stefano, Murano, photography by Abxbay. In front of the campanile of Santo Stefano, sits the Cometa di Vetro. This impressive piece was made by Simone Cenedese. It is a grand example of Murano Glass. 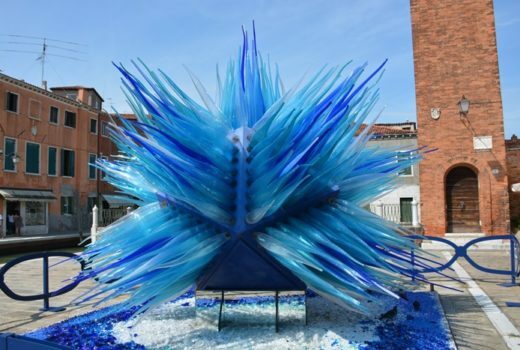 The entire piece is an arrangement of glass spikes in varying shades of blue. It is the modern symbol of Murano and glassmaking. For a unique experience, enjoy this special gem by night to see it lit up. Cometa di Vetro, photography by Paul Arps. 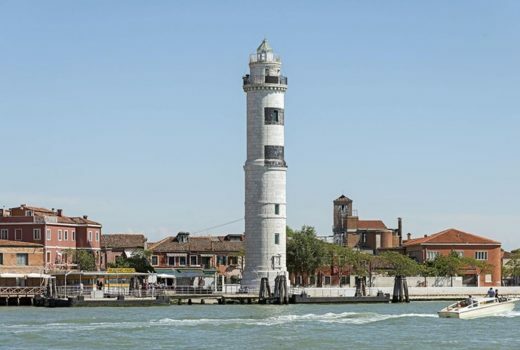 The lighthouse in Murano was built in 1912 and is still in use today. It is not open to the public, but you can certainly appreciate the pearl-white structure from the surrounding area. It is located next to the Murano Faro Vaporetto stop. Vaporetto stops in Murano : Faro, photography by Didier Descouens. Built during the late 15th century, this villa was a representation of the modern construction at the time. Its large Gothic windows and Venetian architecture is typical for the area. This Palazzo Da Mula is very similar to the Palazzo Da Mula Morosini in Venice that was the inspiration for Claude Monet’s famous painting in 1908. It is located next to the Murano Da Mula Vaporetto stop. Palazzo Da Mula - Murano, photography by Unofeld781. As previously mentioned, Murano is famous for its glass art. This is why, it should come to no surprise, that there are more glass souvenir shops than cafes and restaurants on the island. However, keep in mind that even in Murano there is counterfeit glass. 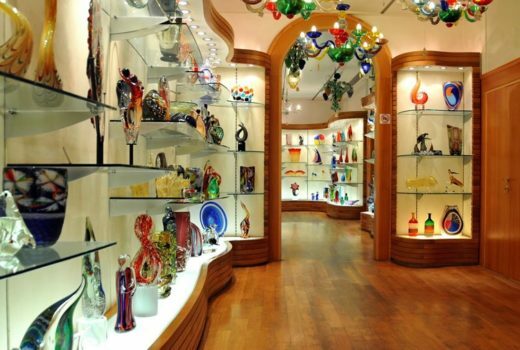 Many shops sell “Murano style” glass made in the Czech Republic or China. As a smart consumer, take caution before falling for these gimmicks. True Murano glass is considered a respected work of art and rarely comes at a discount. Murano Glass shop, photography by Dennis Jarvis. Of course you want a souvenir from your trip to Murano. Unfortunately, it is difficult to verify the authenticity of the pieces sold in the shops. We found this upsetting too, which is why we created our website that features certified Murano glass artworks. We ship internationally, so you don’t have to worry about meticulously transporting your glass back home. Impress your friends and family with a unique and luxurious piece of art that is true to Murano.